De-escalate a situation, start a conversation and help turn someone’s life around. All in one shift. You will work with people from all kinds of backgrounds to create a safe environment and help change lives for the better. Sometimes it will be tough, but you will have real job satisfaction too. You will play a huge part in the life of an offender, helping them to learn and develop new skills. There is no such thing as a typical day. Life can depend on the prison, its level of security and the prisoners. Most prisons work with a changing shift pattern of 39 hours a week. This can include some nights, weekends and public holidays (these days are added to your holiday allowance). Shifts usually follow regular hours although the start and finish time may vary depending on your prison. An example shift pattern is shown below. 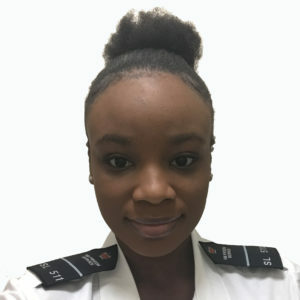 Idaya swapped a job in retail to become a prison officer in a category B male prison. I start the day with toast, egg and beans. I iron my uniform – a shirt and trousers – and polish my boots the night before to save time. We can wear make-up but I keep it light. I check into the prison, scan my fingerprint and collect my keys and radio. I start with a briefing from the governor and get my assignments for the day. My duties include anything from checking cells for prohibited items such as phones, or checking prisoner numbers on the wing. It’s a lock-up period for the prisoners. I grab nachos from the canteen for lunch. In the afternoon, we re-open the cells for exercise. I talk with prisoners about how to solve problems or what they can do if they have a dispute. I pass over to a support officer, hand in my belt, keys and radio and sign out. The best part of my day is when someone tells me I’ve changed their life. The worst part is dealing with complaints. I get home and call my family. Then it’s dinner and TV. I’ll be in bed by 10.30pm. 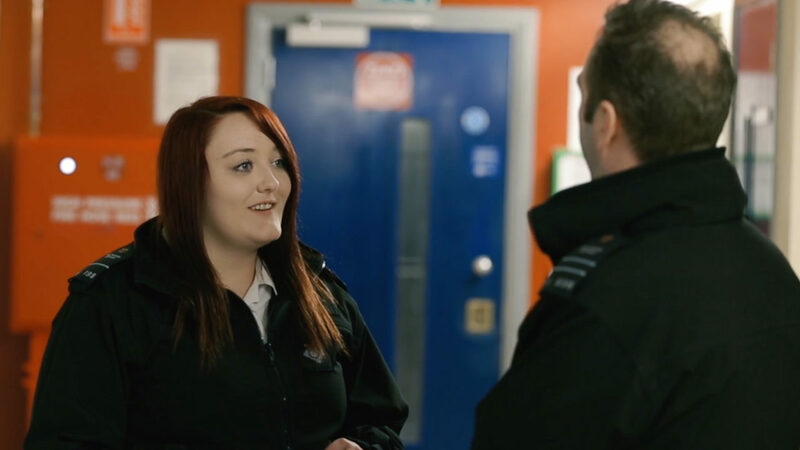 As a prison officer, you will be a key worker with responsibility for around 6 offenders. You will meet with the individuals on a regular basis to support their rehabilitation. This might involve engaging and encouraging participation in education, substance recovery programmes and maintaining links with family members. The offenders you work with will depend on the prison. Prisons are split according to male, female and young offenders. Some prisons serve local courts and hold prisoners before, during and immediately after a trial. Others have long-term prisoners serving out the majority of their sentence. Category A – High security prison – houses offenders that would pose the most threat to the public, the police or national security should they escape. Category B – Core local prison – houses offenders that are taken directly from courts in the area, either sentenced or on remand. 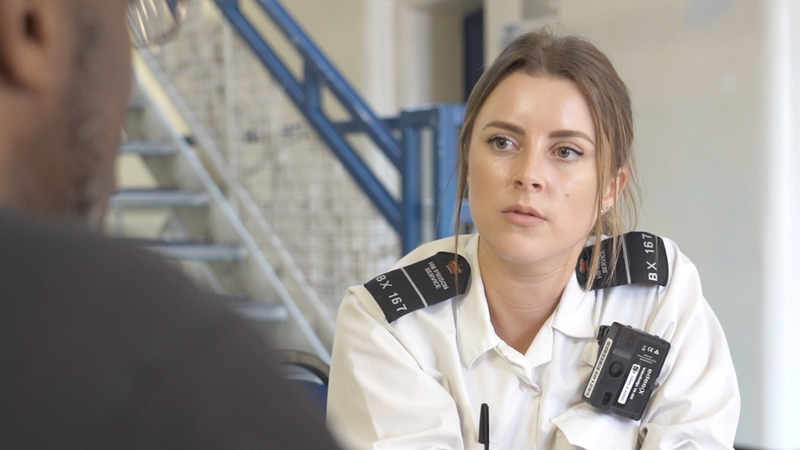 Category C – Training prison – provides offenders with opportunities for developing skills so they can find work on release. Category D – Open prison – allows offenders to spend most of the day away from the prison carrying out work whilst on licence. Young offender institution (YOI) – prisons that house offenders aged between 18 and 21. Young people under 18 who have been remanded or sentenced to periods of detention by the courts are held in specialist youth custody locations. As a youth justice worker you will learn specialist skills and techniques for working with young people.